Jonathan Dayton was a leading American politician born on the 16th of October 1760 and passed away on the 9th of October 1824. He represented New Jersey during his political career. He was also the youngest member of the House of Representative in the U.S Government and the youngest person to sign the US Constitution. He managed to serve as the fourth speaker during his time in the House of Representative, before he finally became a U.S Senate. Unfortunately, his political movement was obstructed with the issue of treason and conspiracy related Aaron Burr's case. In 1807, he was arrested for treason motive, but he was never tried. However, his arrest has really affected his political activities and career. Dayton originally came from Elizabethtown in New Jersey (now known as Elizabeth). He seemed to follow his father's steps in the political field as his father, Elias Dayton, was a famous local politician as well as a local merchant. Dayton managed to graduate from New Jersey College (which is now known as Princeton University) in 1776. He was also involved during the Revolution War, serving in the 3rd Regiment of New Jersey under his father and achieved captain rank when he was just 19 years old. He became interested in law and its practice, so he decided to pursue the study of law after the war was over. When he was studying, he had to divide his attention and focus between politics, speculation, and also law. He started his career as the Continental Congress and also the Constitutional Convention delegate by the age of 26 years old. He was the youngest member at that time and soon he became the popular legislator from the Federalist Party. 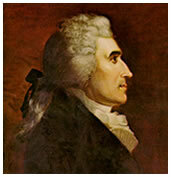 From the year 1786 to 1787, he was an active member of the General Assembly of the New Jersey. In 1790, he served again in the State Council of New Jersey, which is now becoming the New Jersey Senate. When he was elected in the 1789 for the House of Representative, he did not accept the position at all. But then he was elected again in 1791 and this time he took his position. He became the Fourth and Fifth Congress speaker at that time. As he was a Federalist, he had to agree with any fiscal policies made by Alexander Hamilton as well as agreeing the Whiskey rebellion suppression. He had to provide support for the Louisiana Purchase and also disagreed on the 1801 Judiciary Act repeal. The only blemish in Dayton’s achievements was when he met Aaron Burr and became involved in his activities. Burr was accused for his alleged attempts to try to conquer the western United States. The accusation alone has never been proven to be true. Due to the accusations and scandal, Dayton was arrested in 1807. He was never tried, but such act has scarred his political career. Dayton had two daughters from his marriage with Susan Williamson, but their marriage date remains unknown. He continued his political activities back in New Jersey and passed away in 1824. He was buried in St. John Episcopal Church, but his grave is unmarked.